Whatever happened to majority rules? One hundred forty nine individual residents of Vineyard Valley signed a letter for the St. Helena City Council saying they were against the Rent Stabilization Ordinance (RSO). The 149 signatures represented the majority of residents in Vineyard. I know that to be an accurate number because I headed up the effort and emailed the signatures to the City Council myself. Do not be fooled -- the Rent Stabilization Ordinance is a form of Rent Control. The St. Helena City Council ignored the majority will of residents and voted for the RSO. One of the best predictors for future behavior is looking at past behaviors. Since 1975 Vineyard Valley owners have been providing “stable and affordable housing for senior citizens.” In those 45 years, Vineyard Valley has never taken financial advantage of our senior residents. On the contrary, I know for a fact that a handful of residents who are struggling living on Social Security went to management and shared their situation. They were given discounts on their rents. We sign long-term leases agreeing to 3 percent a year increase in our rents. It allows all residents to plan accordingly. This also provides anxiety-free and stable budget planning. Our founding owner passed away a few years ago. His family have bought homes here and are committed to carrying out the legacy of their father in providing a unique and magically beautiful park for senior citizens. I strongly urge every resident of St. Helena to drive through Vineyard Valley before voting and compare our park to those in Calistoga and Yountville. Vineyard Valley is not like any other manufactured home park in the area. I would hope that St. Helena citizens would be proud of our park and want to protect this gem of a property from turning into anything like the other parks in the area. Vineyard Valley owners offers truly breathtaking landscaping throughout the park including 815 trees; a beautiful pool setting along with water aerobics classes, a hot tub, spa and sauna and newly remodeled bathrooms; a bocce court; a large landscaped koi pond with water lilies, water fountains, a walking bridge, seating all around; a well-equipped workout room (recently upgraded with new equipment) offering weekly yoga, exercise and Tai Chi classes; a beauty salon; a wood workshop; a putting green; a clubhouse with a fully equipped kitchen; four full-time gardeners; walking paths with trees, flowers and lush landscaping; night security; a library; and a pool room. All the beautification, capital improvements and maintenance are paid for by the park owners. If revenues were reduced due to the RSO, the owners would have to reduce expenses, resulting in fewer amenities for the homeowners and less property upkeep. Faced with reduced revenue, the owners would have to make tough choices to cut expenses. Now let’s get to the elephant in the room. What if the owners decide to sell? The owners have stated clearly they have no intentions of selling. They own the land free and clear from all debt. This provides them with a guaranteed revenue stream regardless of changing economics. Where is the incentive for them to sell the property? Now let’s look at a possible scenario if the park were sold. Currently, the park is under Prop 13. If sold, the taxes would go up accordingly. The new owners would have to get a loan. The owners would have the right to pass on those costs to the residents of the park. Those under long-term leases would be protected. Those under RSO would be responsible for a portion of the legal fees, along with the City of St. Helena, to fight a long prolonged legal battle. Taxpayers, that means you would be paying for the cost of this battle. The St. Helena City Council voted to spend at least $30,000 for a special election. Why? There was no reason not to wait until the general election. 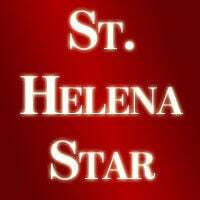 This is complete fiscal financial irresponsibility given St. Helena’s staggering financial struggles. We all know that there is a vast list of things that St. Helena citizens would like to see improved in our city, yet this City Council chose to spend $30,000 on this special election. As opposed to attacking the owners of Vineyard Valley, I feel the city and its citizens should be thanking them for the 45-year history of providing and protecting affordable housing for senior citizens in St. Helena.